For more project information, click the image below. A key part of municipal wastewater treatment is a biological process, referred to as secondary treatment. High volume blowers are used to feed air into large tanks in order to provide optimal conditions for biological growth and treatment. These aeration blowers use a great deal of electricity – energy demand from this equipment has a very high associated cost each and every month. Based on a comprehensive technical evaluation, the District selected turbo blowers manufactured by APG Neuros. Accurate dissolved oxygen monitoring equipment and automated valves will be used to control delivery of air to the aeration basins and maintain. Once the project is complete, the District expects to realize an annual energy savings of approximately thirty percent. The project cost will also be offset by an energy efficiency rebate from Southern California Edison. 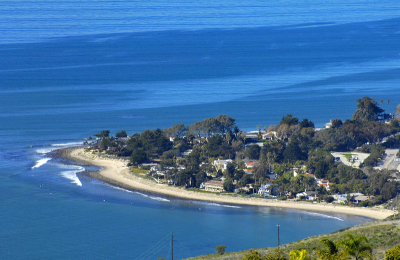 The Carpinteria Sanitary District is responding to requests from several beach communities to provide them sanitary sewer service. These communities, which include Rincon Point, Sandyland Cove, Sand Point Road, and Padaro Lane, currently use on-site septic system to manage generated wastewater. There is evidence to suggest that septic tank effluent may be impairing nearshore water quality and the septic to sewer conversion project is widely supported in the community. The District’s Board of Directors certified a Final Environmental Impact Report for the South Coast Beach Communities Septic to Sewer Project in September 2004. To achieve the best possible outcome, additional engineering studies and supplemental environmental review was necessary prior to moving forward. Project implementation is now scheduled to commence in 2006 for most of the communities involved. In 2005, the District completed installation of a new force main pipeline in Via Real to convey wastewater from its Lift Station No. 4. Approximately 3,500 feet of new 10-inch diameter HDPE pipeline was installed to replace the existing force main which was undersized and had failed on several occasions. To minimize traffic impacts and to avoid construction problems associated with high groundwater conditions, the new pipeline was installed using a trenchless technology called horizontal directional drilling. 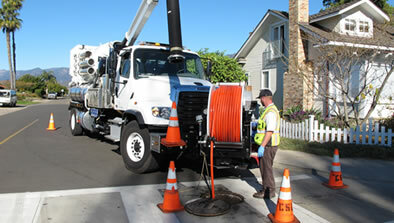 The result is a seamless pipe that is projected to last for 100 years or more. 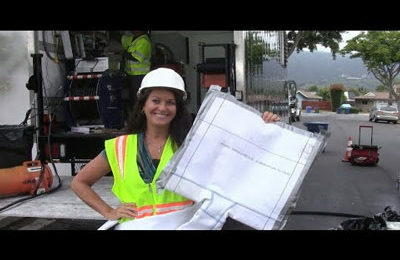 A significant portion of the District’s wastewater collection system was constructed between the 1930’s and the 1950’s. These old pipes had exceeded their design service life and structural problems were developing. The District initiated a major CCTV inspection program and undertook a system-wide condition assessment project that was completed in 2002. These efforts culminated in a Wastewater Collection System Rehabilitation Plan that summarized identified structural defects within the system and established a priority list for replacement and repair of buried infrastructure. The Phase 1 Collection System Rehabilitation Program involves replacement and/or rehabilitation of pipelines within the District’s wastewater collection system that have been found to have significant structural defects in previous studies. It is anticipated that up to four miles of sewer pipeline, or 10% of the entire system, will be rehabilitated using trenchless methods or replaced using open cut construction in FY 2005/06. Approximately $1,100,000 has been budgeted for Phase 1 work. This project involves major renovation or replacement of the existing pump station located on Via Real west of Cravens Lane. This pump station was originally constructed in the early 1970’s to serve the Sandpiper Mobile Home Park. Over time, the District’s collection system has expanded westward to serve Serena Park, Padaro Lane and other communities. 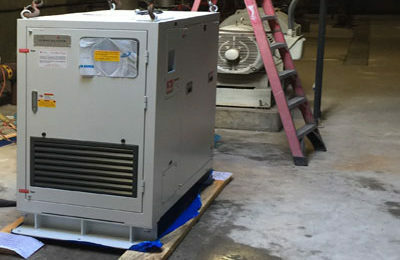 The pump station mechanical and control systems have now reached the end of their design service life and a major renovation or upgrade is necessary. An engineering study is underway and construction is expected to begin sometime in 2006. The District’s force main pipe from Lift Station No. 2, adjacent to Aliso School, currently discharges to the collection system upstream of another pump station. Realignment of the force main to convey flow directly to the wastewater treatment plant would reduce energy costs substantially and would eliminate hydraulic deficiencies in the collection system. In 2005, the District will begin the planning and design process for the realigned pipe that would extend between the intersection of Ash Avenue and Fifth Street and the treatment plant at Sixth Street and Olive Street. Construction is expected to commence in 2006.